If you’re bummed because you don’t have a fireplace, cheer up! 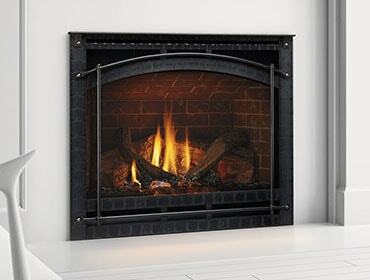 It’s relatively simple to add a gas fireplace to most homes. It’s true. Installation is fairly simple because no chimney construction is required for Direct Vent gas fireplaces. They are vented directly through the wall to the outdoors through a dual-chambered single pipe, so Direct Vent gas fireplaces can be installed almost anywhere in your home where natural gas or liquid propane is available. And zero clearance construction, which requires minimal space between the fireplace and wallboard or wood, means you have even more options for placement in your home. Costs for adding a gas fireplace will vary according to the model you choose and where you live, but it may cost as little as $4,500, including installation. That’s an estimate, but it gives you an idea. The spring and summer months are a great times to install a gas fireplace, so it’s ready to go when the gales of November move in again! Perhaps it’s time to make a visit to your local Heatilator? They will help you find the perfect gas fireplace for your home. Meanwhile, you can view the wide range of styles here. From all of us at Heatilator, enjoy the fire!